The Turks say that Istanbul is like a prostitute – beautiful, but dangerous. The day-dreamy heroine, Celeste, is dragged into a mysterious adventure of threats, violence and narrow escapes which makes its way though gold-filled palaces, the dazzling colours and heady scents of the bazaars, the eerie old harem packed with jewels and opium hookahs, the mosques lit by shafts of sunlight and, of course, the deep blue bosphorus which flows through the heart of the city. I lived in Istanbul for a year when I had just finished university, in the attic room of a beautiful old mansion overlooking the Bosphorus. The call to prayer, from a minaret right outside my bedroom window, blared out so loudly each dawn that I sprang to my feet suffering a near heart-attack. Then, every day, my senses would be bombarded by the colours, noises, smells and the crowds of people rushing through their busy days. Like Celeste in my novel, I was thrown in at the deep end in Istanbul. I was naive but plucky. I survived being held at gunpoint, being mugged, and even a bout of cholera. Yet the sheer beauty of Istanbul always made up for it. 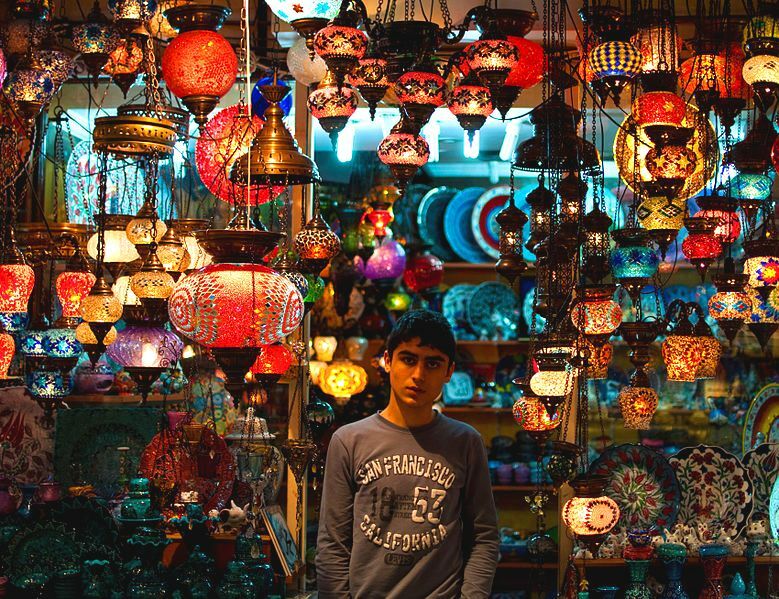 These photos show some of the places in Istanbul where “Evil Eye” unfolds. They include a couple of pictures of me as a very young lady. Celeste, the heroine of “Evil Eye,” lives in a house on this street. 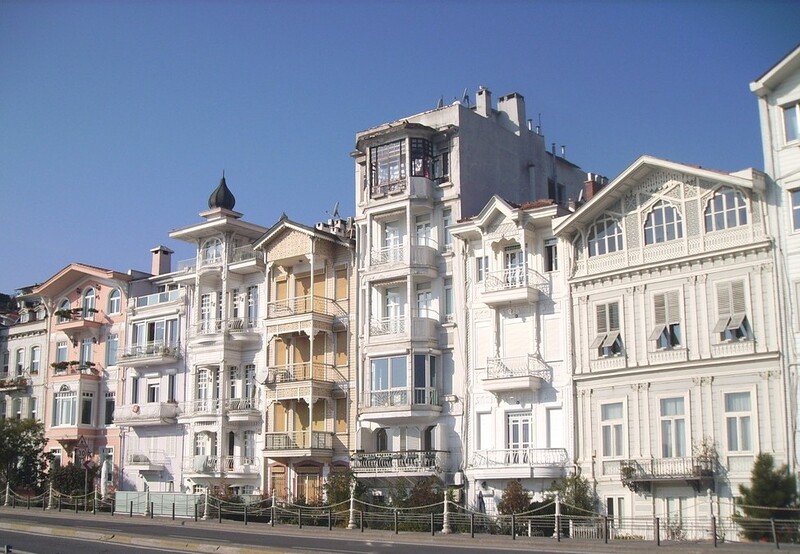 These old Ottoman mansions are more than 100 years old, and I lived in a similar house in Istanbul. 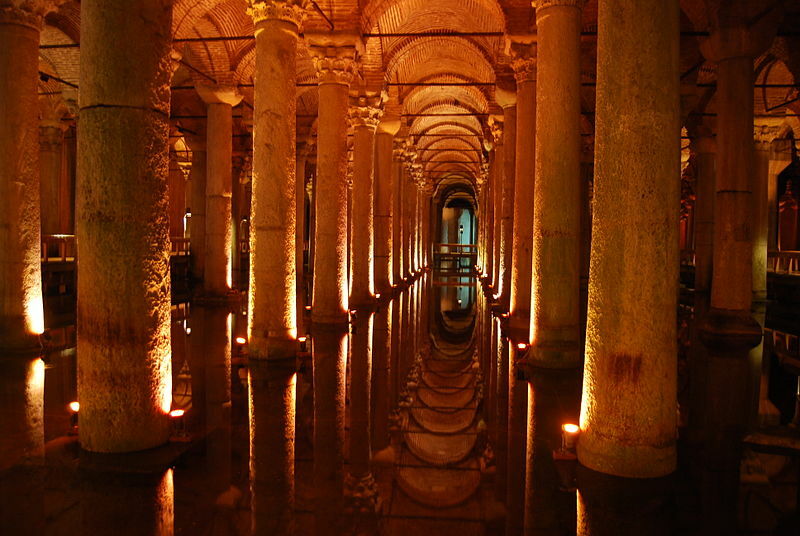 Yerebatan Sarnici, one of the underground cisterns built to supply drinking water throughout Istanbul in the 6th century. One of the key scenes of “Evil Eye” unfolds in a similar cistern, which has been converted into a restaurant. 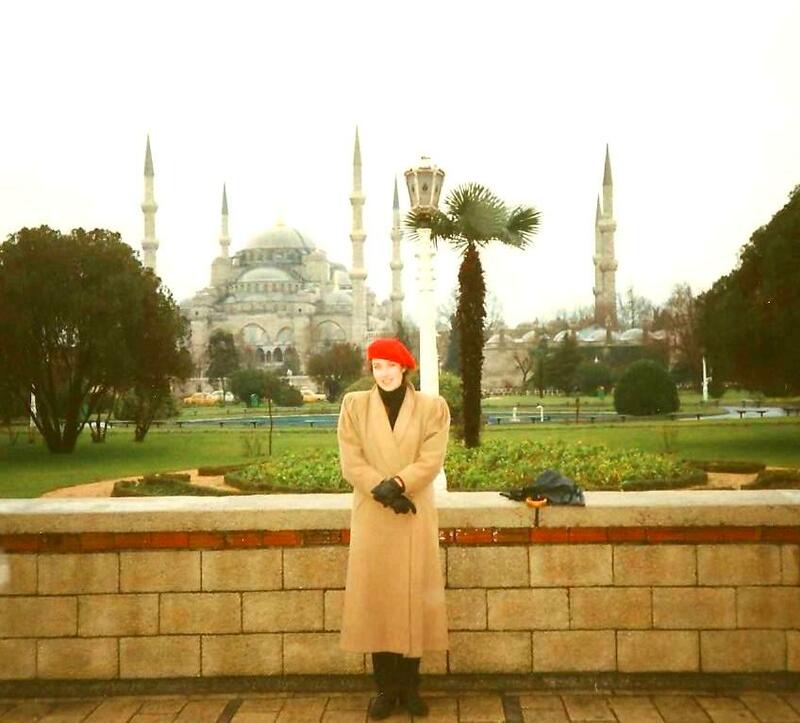 Here I am in front of the Sultan Ahmet Mosque, convalescing from cholera and yearning for a toilet. 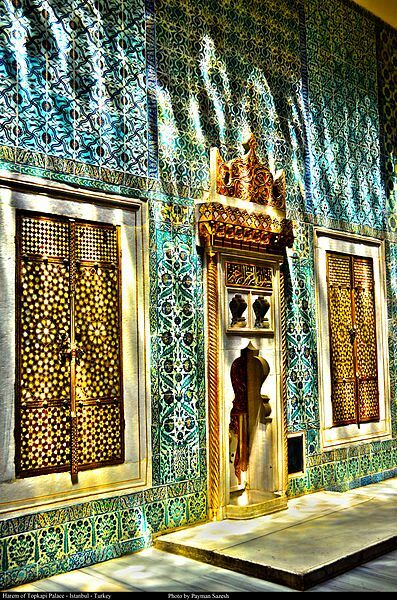 Topkapi Palace, former home of the Turkish royal harem. Celeste makes an unexpected friend when she visits the palace, and also learns a shocking secret. The Grand Bazaar. It is like a huge rabbit warren and I got lost every time I came here – partly because of the sensory overload of beautiful objects and dazzling colours, and partly because of the deafening yells of “I sell big bargain best price” from all the vendors. 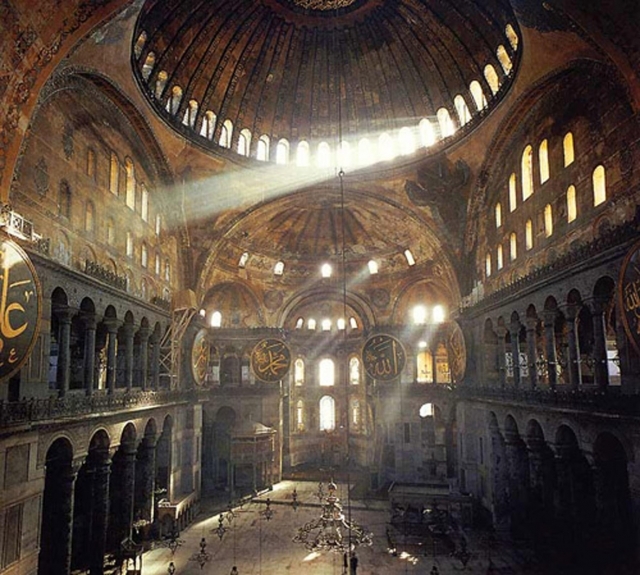 Hagia Sophia, or Saint Sofia Basilica. It was once a church, then a mosque, and now a museum. Here I am standing in a part of Rumeli Husari, an old fortress. 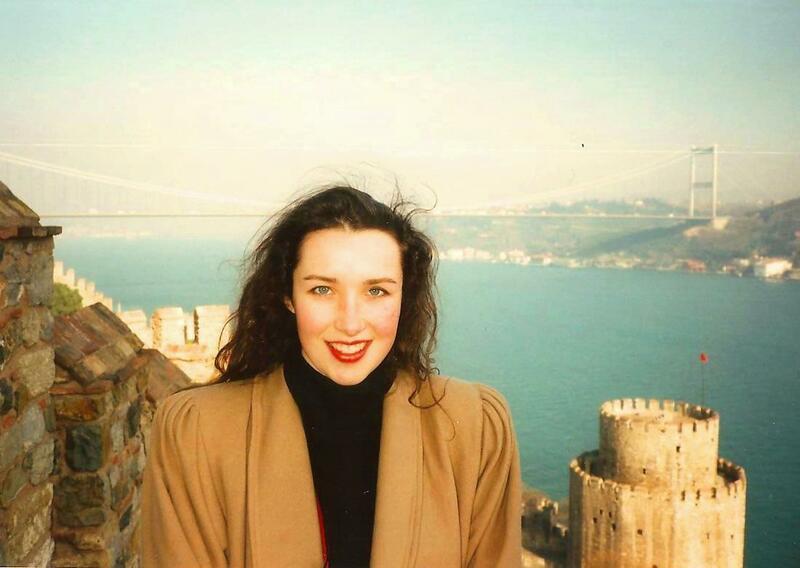 It was my favourite place in Istanbul, not just for the views but because the air was always very refreshing…. with never the tiniest whiff of a kebab. Istanbul beckons Celeste Hamilton like a siren. Entranced by the misty city of mosques, bazaars, and palaces, her dream adventure in this city, split by the sparkling blue sea, soon turns into a nightmare. A web of deceit pulls Celeste from bright, sunlit streets into shady back alleys along the ancient Bosphorus. Without understanding, she’s stumbled onto a villainous secret. Her landlady lets slip puzzling comments that don’t make sense. The sinister charms and dark magic spells she places in Celeste’s room are horrifying. Then, the morose caretaker of the orphanage where Celeste volunteers starts staring at Celeste’s beloved boys like a vulture sizing up its next meal. When Celeste’s favourite boy goes missing, Celeste discovers that she herself is the target of a dark plot. Can Celeste save the child – and herself – before someone destroys her? Evil Eye is available in Kindle and paperback formats from Amazon stores worldwide. A great story, very engaging and informative. I enjoyed reading about the superstitions and cultural foibles of Turkey. I have visited the country twice and would love to go again. I am really glad you enjoyed the book. I have often thought how much I would love to see Istanbul again – not just because it is so interesting but because I would be curious to see what has changed since I lived there. My life seems so boring all of a sudden. Held at gunpoint? Where was Bruce Willis when you needed him, huh? I’ve been held at gunpoint in Sicily, too. My life is FAR too interesting! I have to read this. This book sounds wonderful! Congratulations! I look forward to reading it soon. And stay away from people with guns!! Too scary! Sounds like an interesting read, to me! I’m taking a group of 40 to Istanbul next week, and look forward to Istanbul. This will be about my 10th group to Turkey, but I love to see it afresh in the eyes of these students. I hope you have great fun in Istanbul – and I hope you enjoy the book if you decide to buy it.